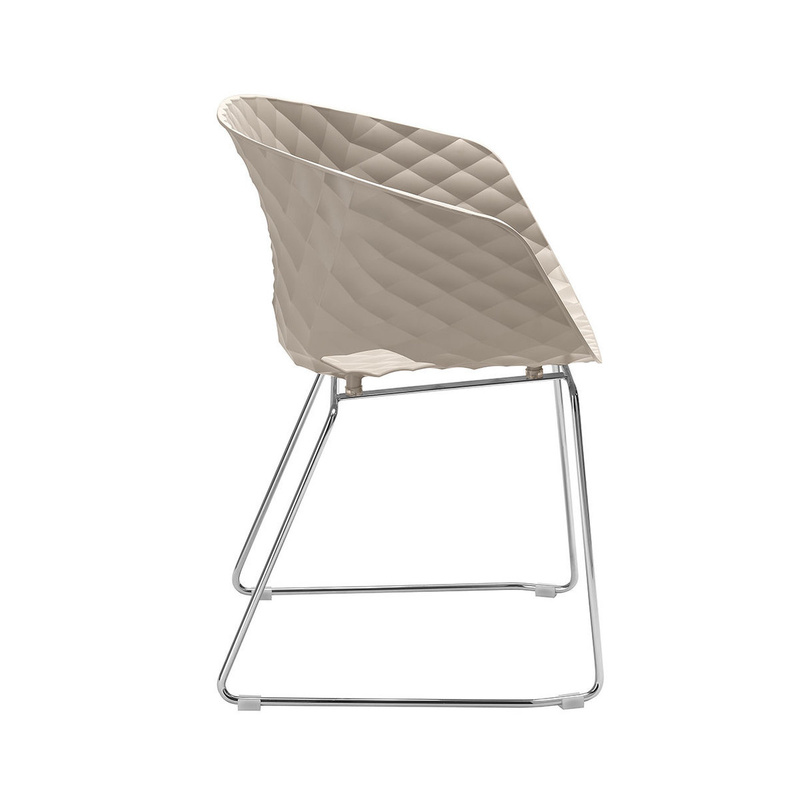 Metalmobil introduces Uni-Ka, an armchair that adds a new meaning to the classic tub chair thanks to its padded-like texture, taken from the bestselling Uni chair. Uki-Ka charms with its rounded, cosy shape - ideal for any kind of space. 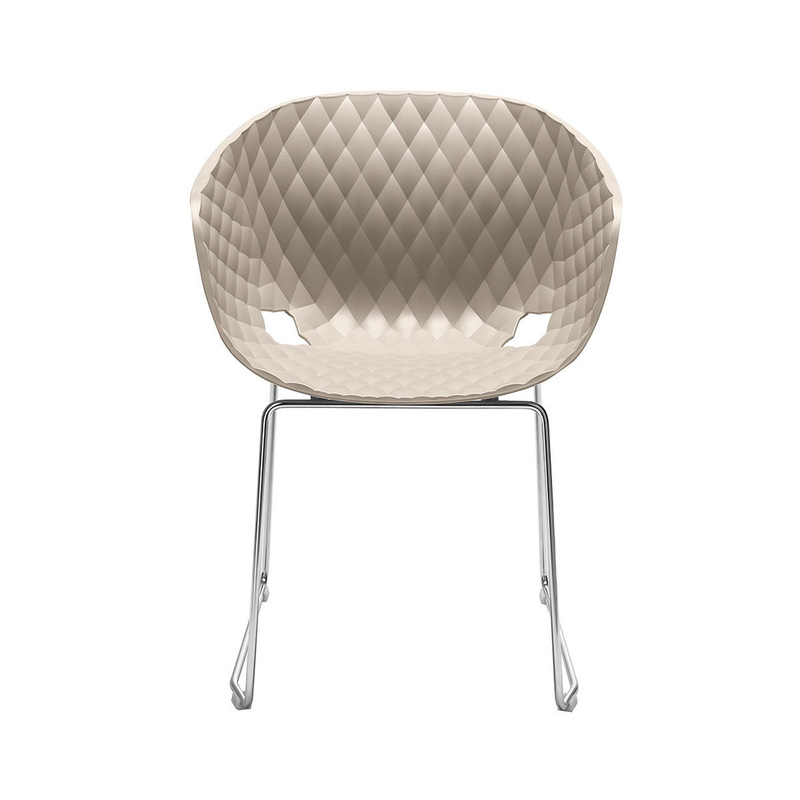 Under its wide sides (working also as armrests), Uni-Ka features two iconic openings that recall the rhombus of its texture. It also allows you to stack the 4-legged version of the chair. Chrome (glossy) sleigh frame. 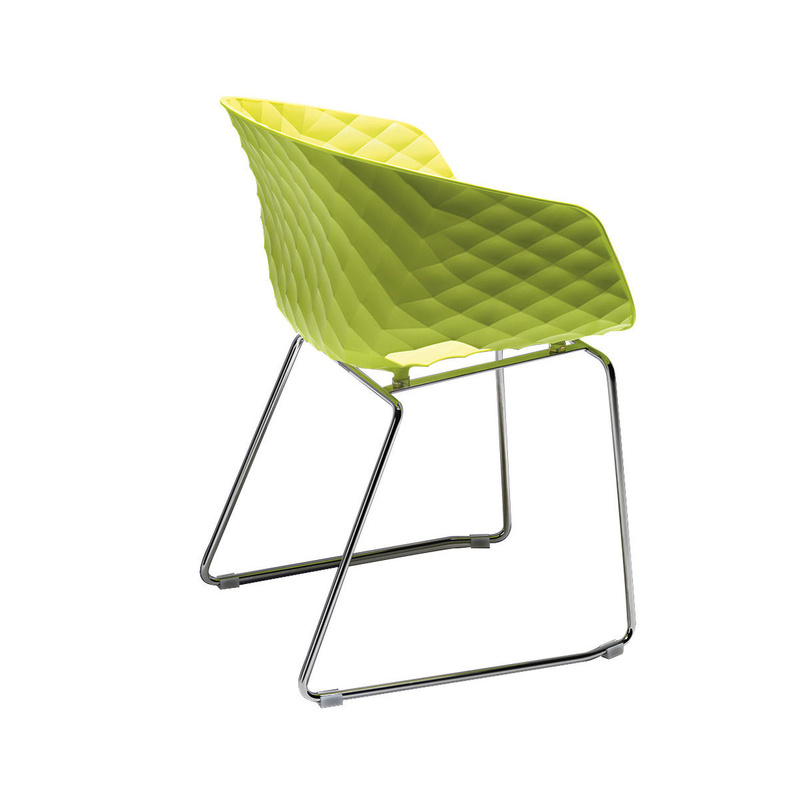 Polypropylene seat.